4th Grade Students from Silas Willard in Galesburg show their project for TECH 2017 Day at the State Capitol. Rep. Swanson was eager to hear about their project and welcome them to the Capitol. 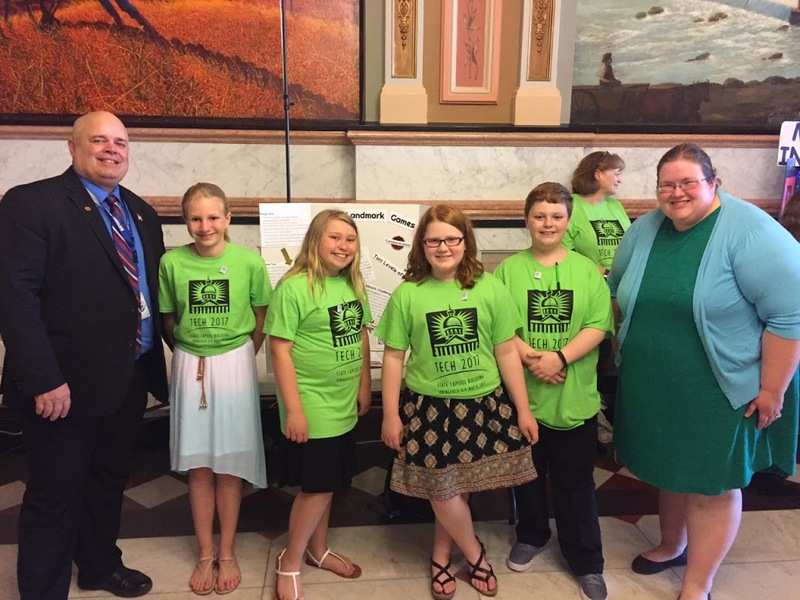 GALESBURG — Silas Willard fourth-graders will participate in the annual “Students for the Information Age” TECH 2017 event this week in Springfield. TECH 2017 will be from 9:30 to 11:30 a.m. and 1 to 3 p.m. Tuesday at the Illinois State Capitol Building where hundreds of students and teachers will represent schools from throughout the state. At the event, students will show the public and members of the Illinois Senate and House of Representatives how technology is being used in the classroom to increase student engagement and improve achievement. From elementary to the high school classrooms, TECH 2017 highlights the crucial role that technology plays in education — ranging from increases in collaboration and critical thinking, to promoting learning beyond the limits of the school day — by creating a space for students to share their learning and innovative uses of devices, the internet, and digital curriculum. Read more here.